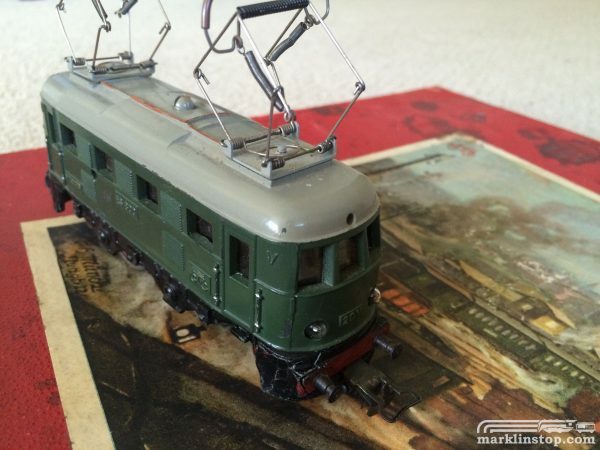 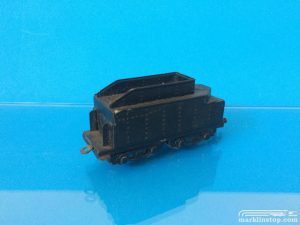 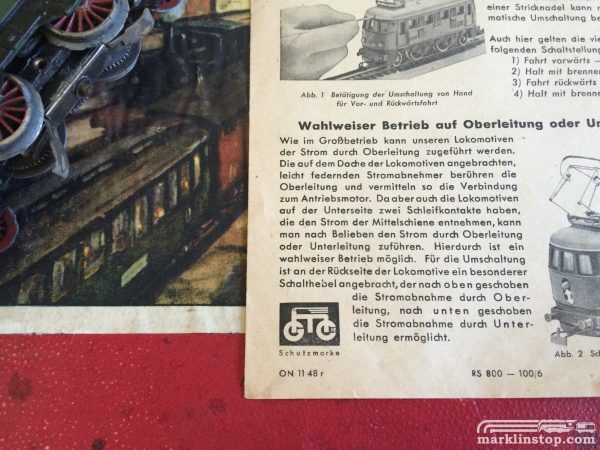 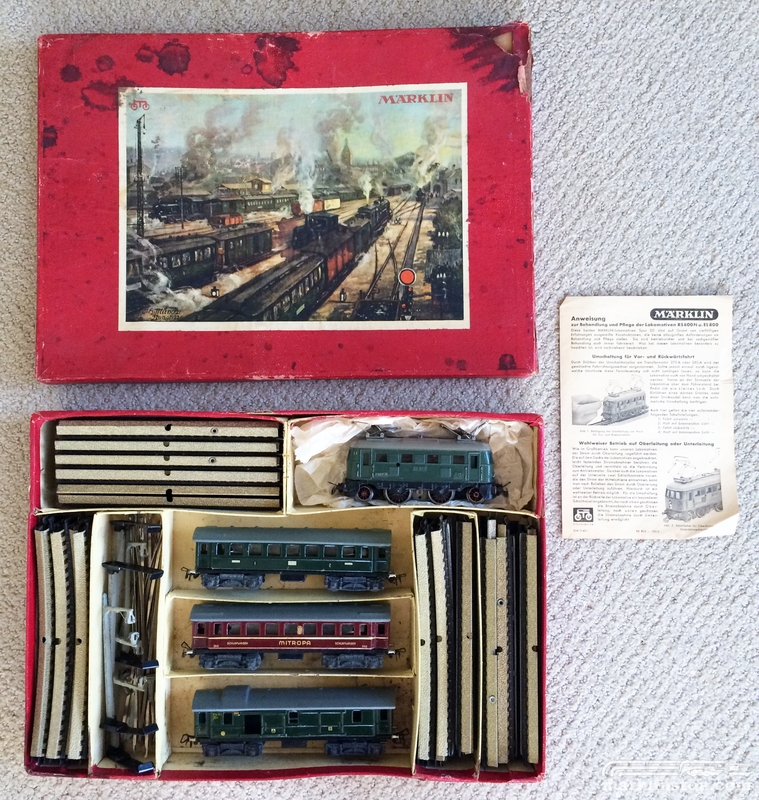 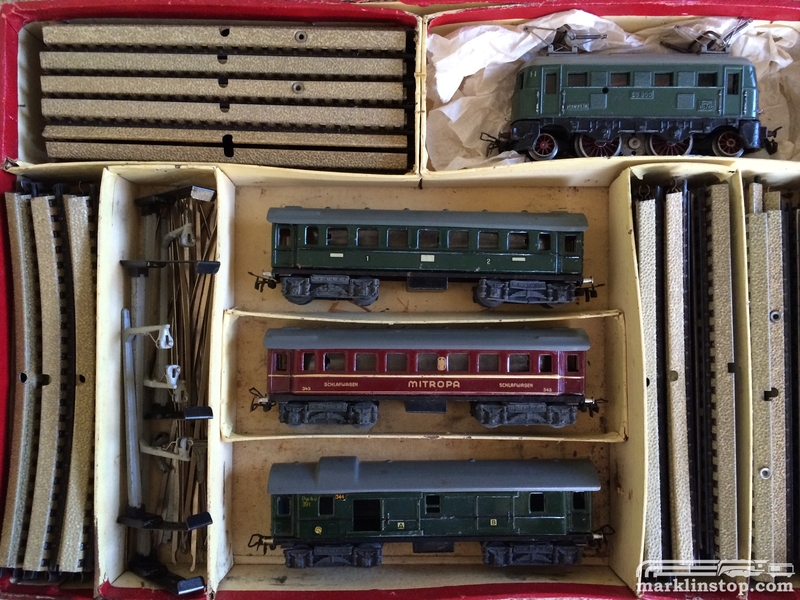 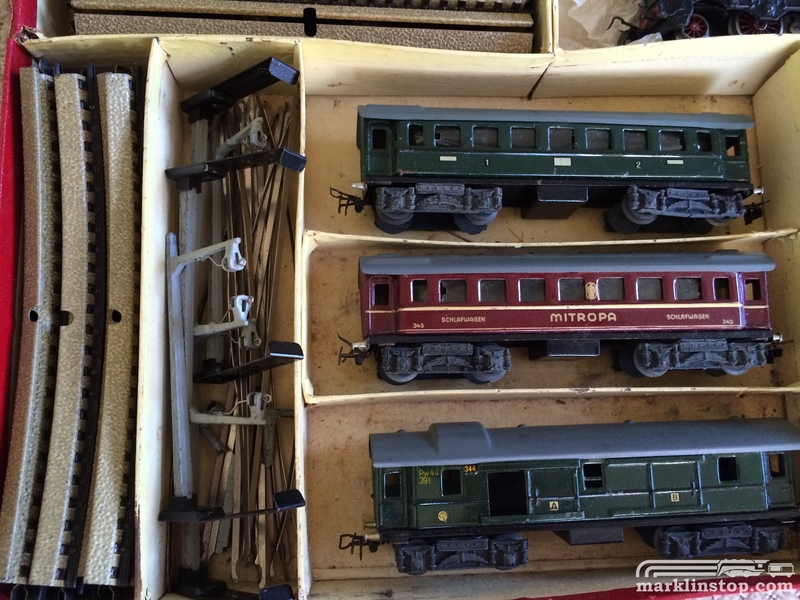 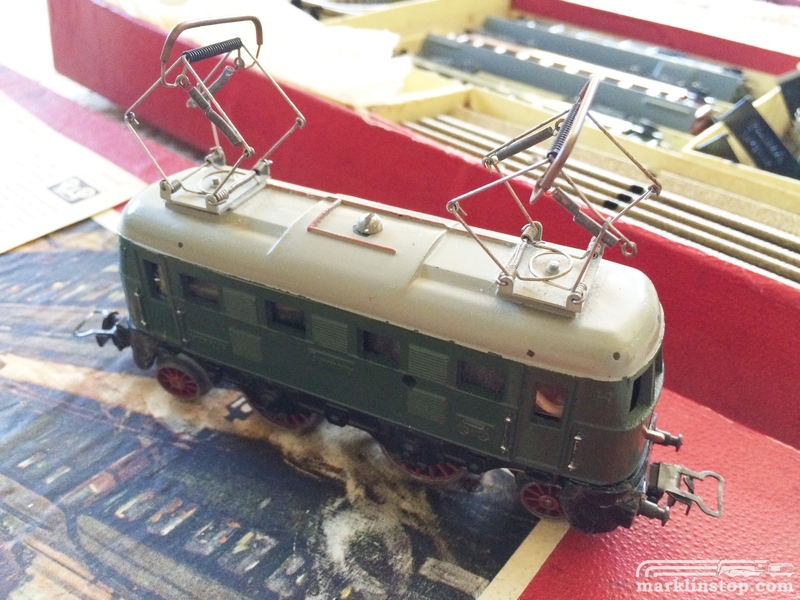 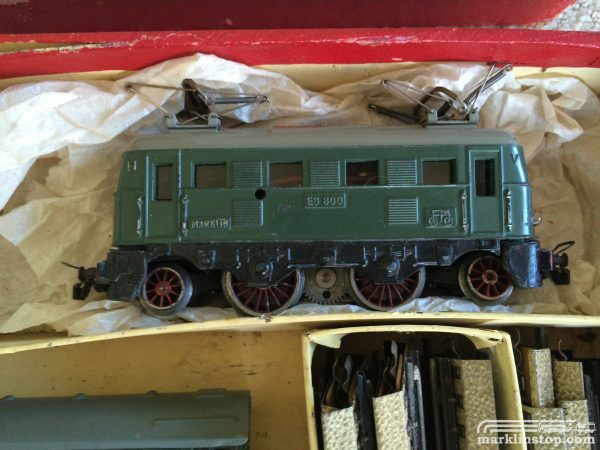 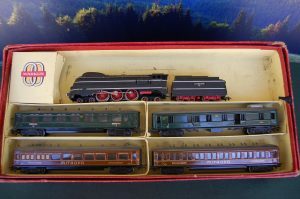 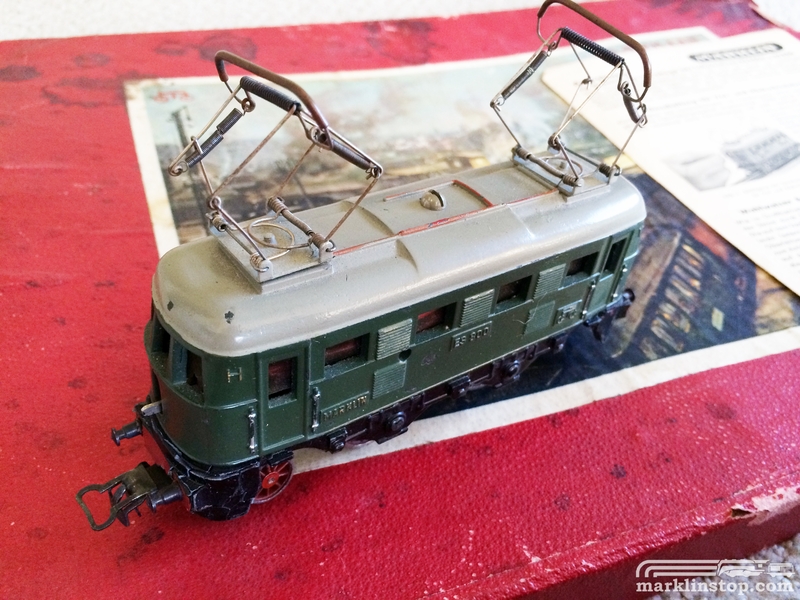 Spectacular early ES 800 electric locomotive set with 3 cars in the original set box (with label) and instruction sheet dated 1948. 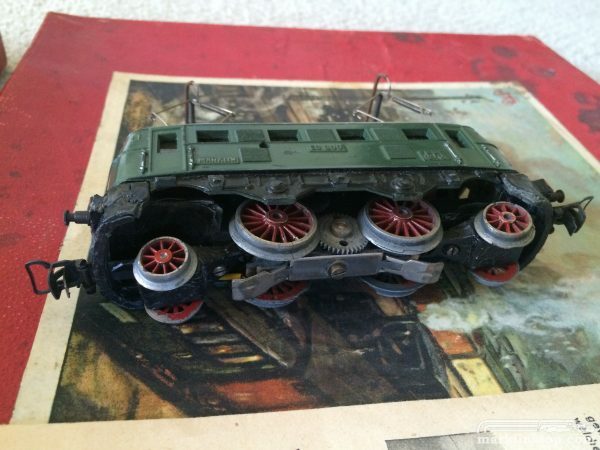 Locomotive in very good cosmetic condition; motor tested runs and reverses well, but outer frame is warped and has zincpest. 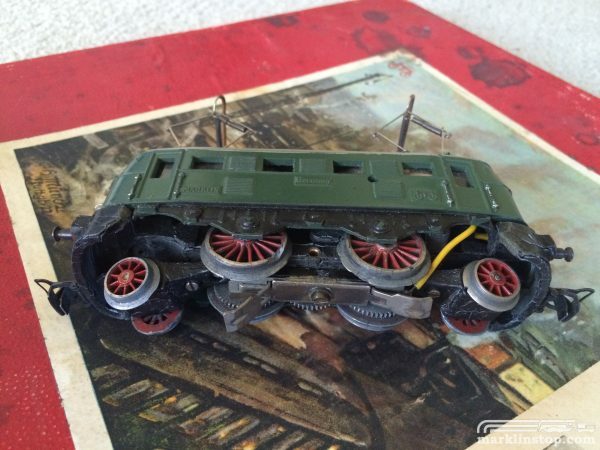 The wheel gears do not mesh with the motor so the locomotive itself does not run. All original parts except truck trailer frames which were replaced with replica pieces. 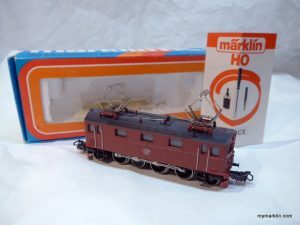 Set includes loco, 3 cars, instruction sheet, 407 catenary posts, catenary wire pieces, and an assortment of straight and curved track. 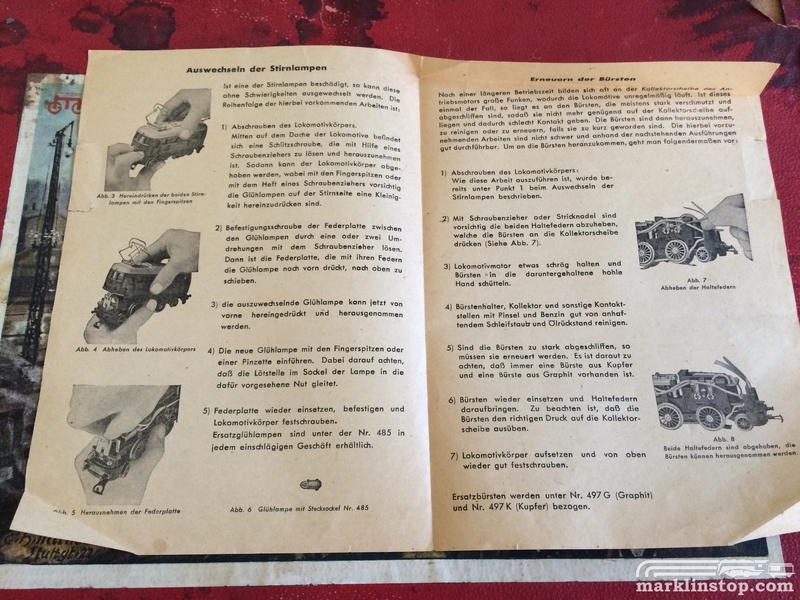 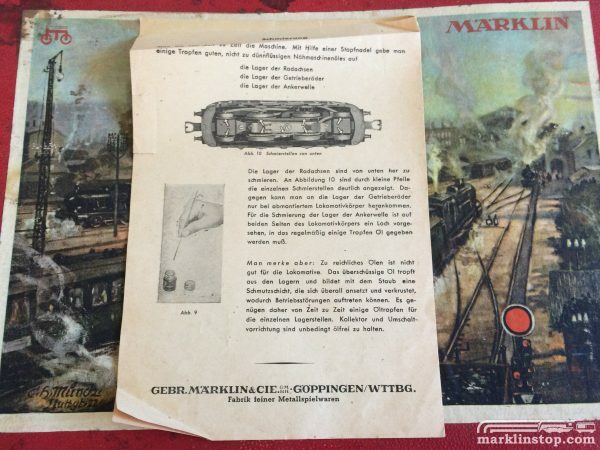 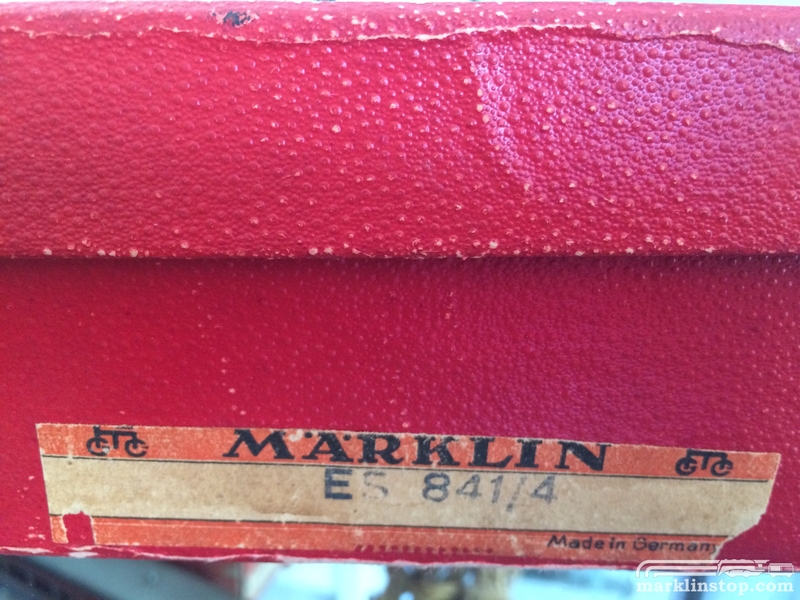 Purchased from a collection of trains bought following WWII in the Weisbaden area of Germany where US soldiers were stationed.